Discover intelligent navigation for Europe's main countries with the nÃ¼vi 2360LT. 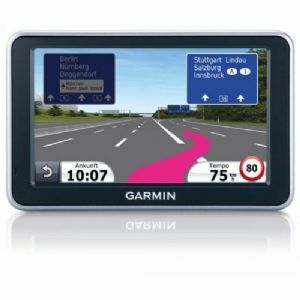 No need to worry about unknown or complicated junctions: exclusive-to-Garmin PhotoReal 3D junction views and more than 200,000 lane assistants across Europe will ensure you get to your destination stress-free, no matter where your journey takes you. The nÃ¼Routes technology with trafficTrends and myTrends takes into account historical traffic flow data (trafficTrends), analyses drivers' individual driving habits (myTrends) and provides a better arrival forecast and route calculation depending on the time of day and the day of the week.